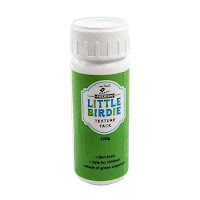 I am here today with a product review of some wonderful Itsy Bitsy products. 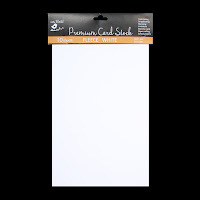 I received three shades of Fairy Sparkle, Texture Tack and a pack of Fleece White card stock from the store and I was quite happy to do the review for the glitter elements! 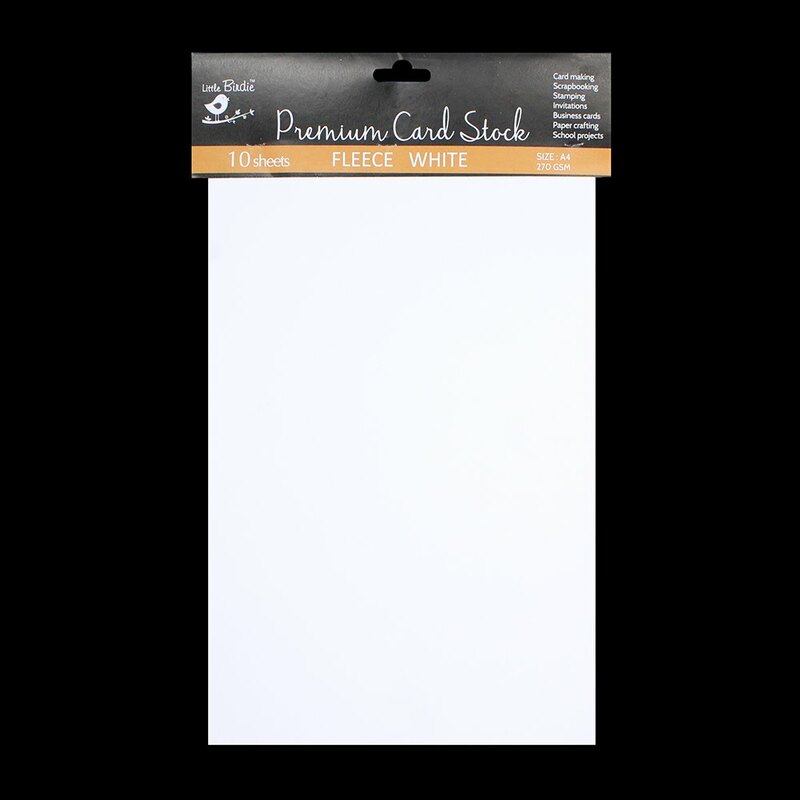 I made several cards using these products and I am very, very happy and impressed with the quality. 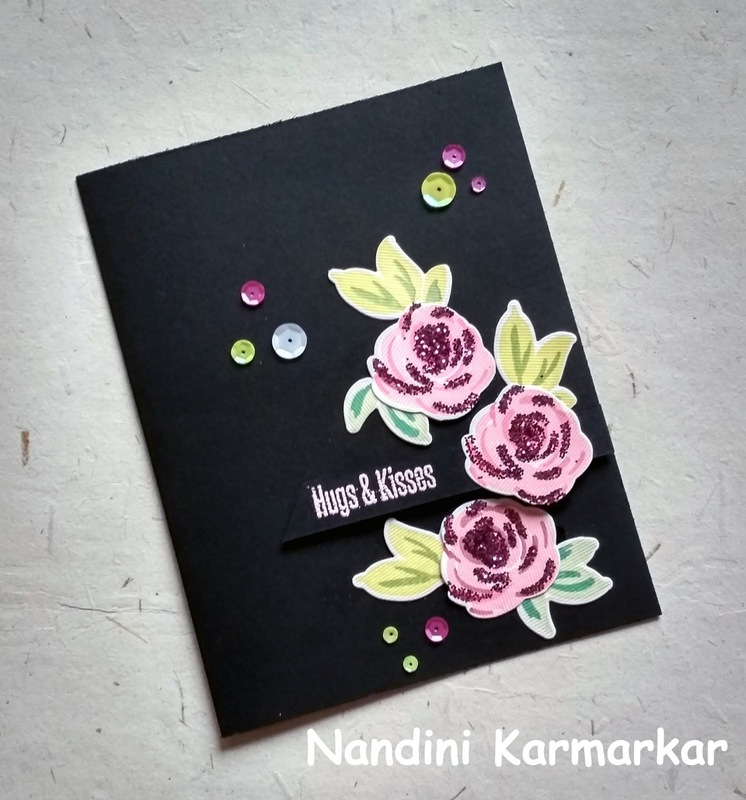 I used simple stamping for the first card. I randomly stamped some flowers and leaves on a white panel to create an all over design. I then dipped the broad end of my brush into the texture tack and dotted it at the center of the flowers. I sprinkled the Fairy Dust over it and let it dry for some time. I really love the crisp and bright images I got with the Fleece White paper and the little bit of bling that the Fairy Sparkle added. 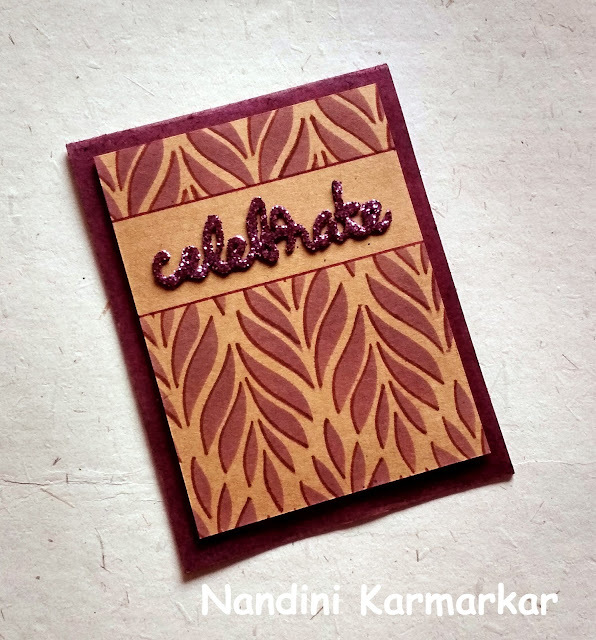 Here are two more cards I made with Fleece White card stock and simple stamping. 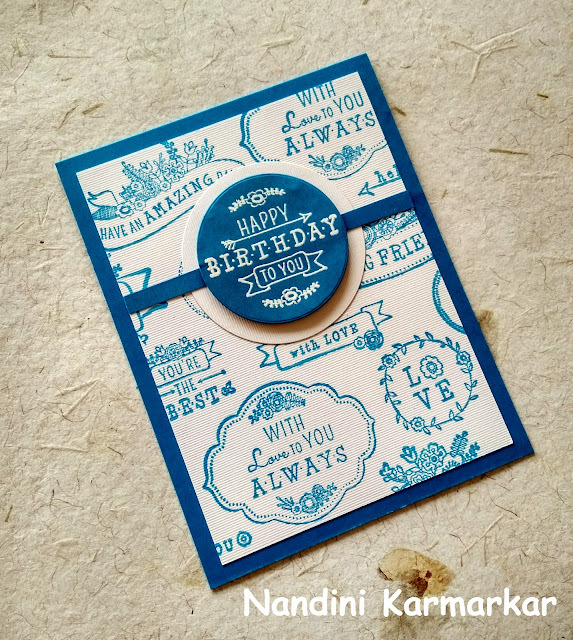 A blue and white card with randomly stamped sentiments. This is a great way to stretch your sentiment stamps. Create your own pattern paper with random stamping. I love the slight texture of the paper. 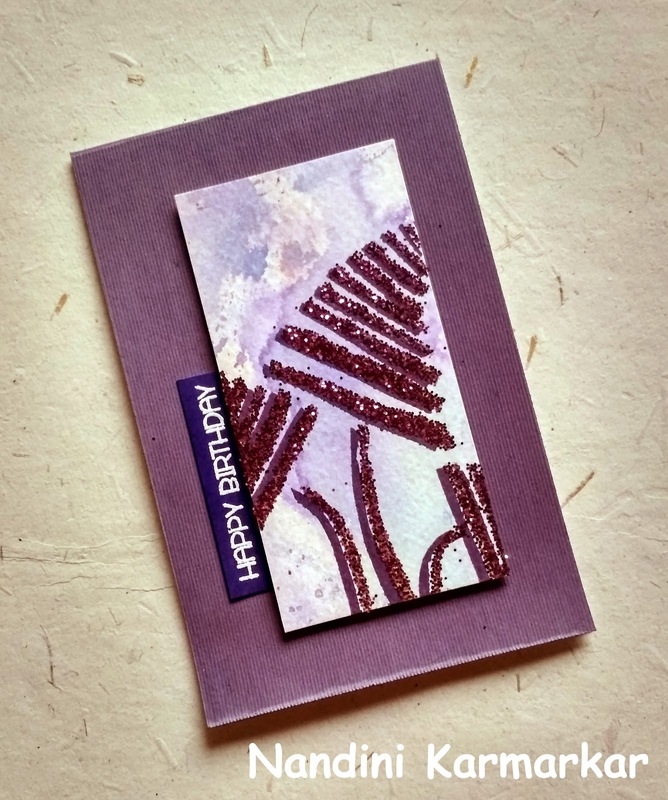 For this card I decided to use stenciling. I took a piece of paper that my kids had colored with distress inks from my scrap pile. I used a stencil that I had hand cut ages ago and applied some purple distress ink through it. I shifted the stencil slightly and applied Texture Tack through it. I then sprinkled the Fairy Sparkle and left it to dry. To match the card base, I trimmed the Texture White paper to size and applied the ink to paper directly. I love the artsy look of this card. It is very easy to use the Texture Tack with a stencil and I love that it washes off very well. For the next card I decided to combine the Fairy Sparkle with die cuts. I first created my panel with my stencil. I die cut the sentiment and then covered it with Texture Tack. I pressed the whole thing in a pool of Fairy Sparkle and left it to dry. To finish, I popped up the panel on a matching card base and adhered the sentiment to it. For my final card I wanted to try something different. I decided to try stamping with texture tack. 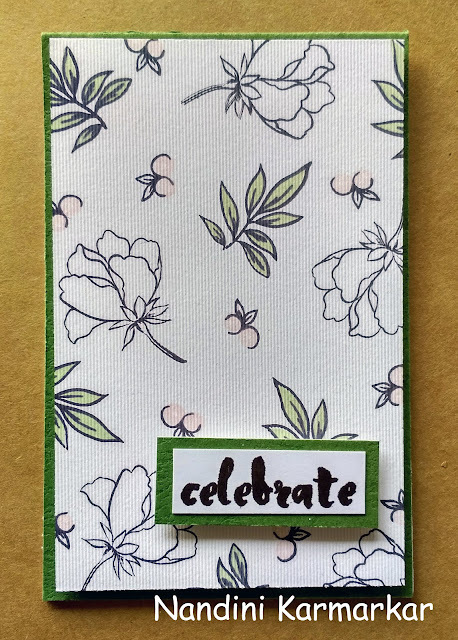 I took a piece of Texture White card stock and stamped several flowers and leaves which I die cut with the matching dies. I used layering set and stamped one layer with texture tack. I added some Fairy Sparkle and allowed it to dry. I added the sentiment and finished up with some pretty sequins. Really love the bit of sparkle that the Fairy Sparkle adds. Here is a closeup of the card. Here are the Itsy Bitsy products I used. I have included links to the products as well. I hope you enjoyed this post and will try these wonderful products. I can also give a try…. 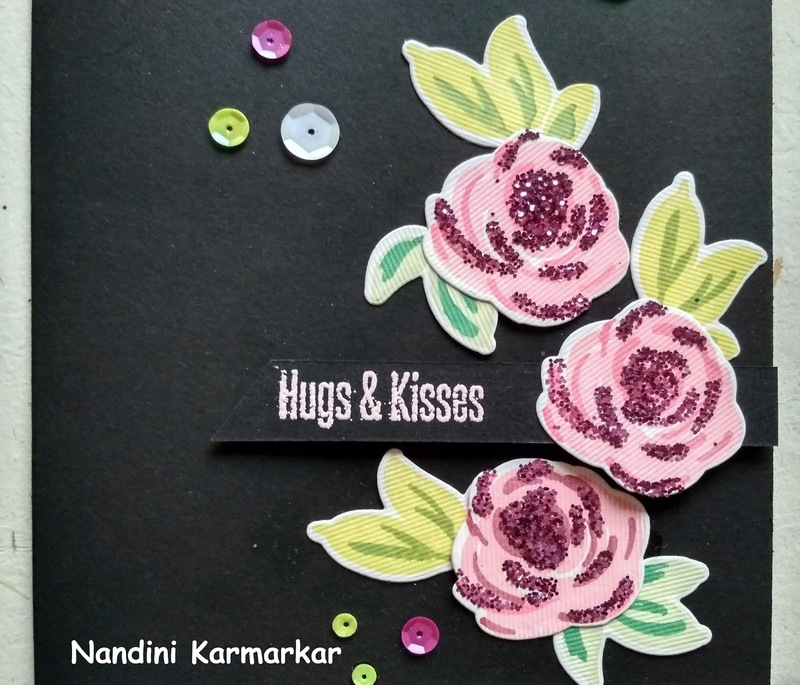 Awesome cards, each lovely & unique in it’s own way! 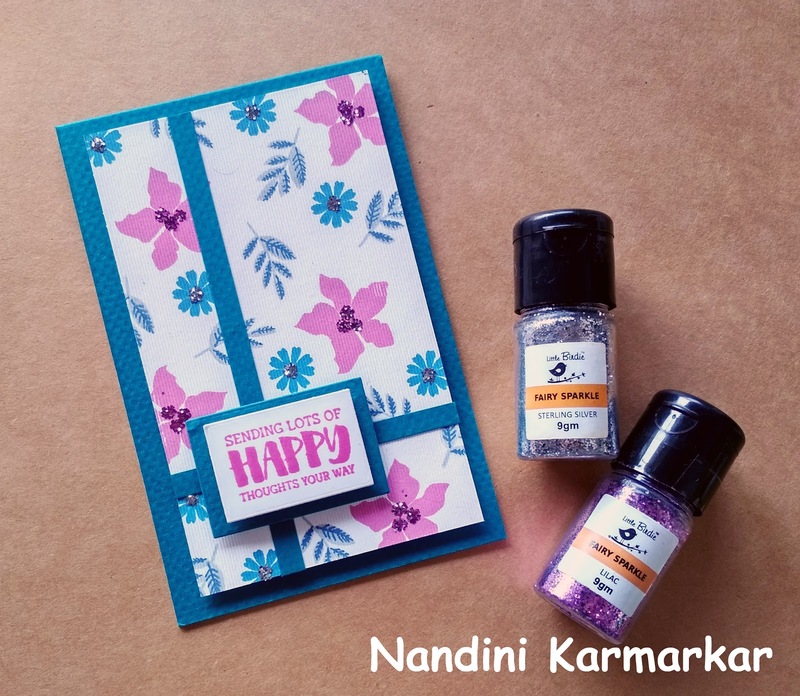 Thank you for being on our blog Nandini! I really like your elegant style Nadini! !